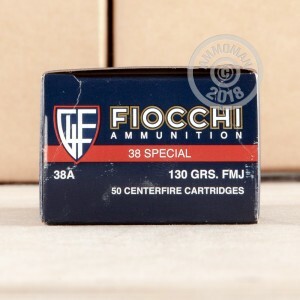 Enjoy clean, accurate shooting with this .38 Special ammunition. These cartridges fire a 130 grain full metal jacket bullet that produces less fouling and less airborne lead exposure than lead round nose projectiles. The light projectile achieves a relatively high muzzle velocity of 950 feet per second. 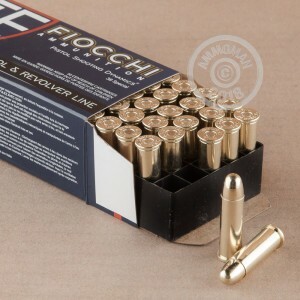 This ammo is loaded at Fiocchi of America in Ozark, Missouri using non-corrosive Boxer primers and brass cases. Each box contains 50 rounds. Place an order for $99 or more and AmmoMan.com will provide free shipping! Admittedly I've only tried a few brands but in 38 Special this has become my go to.